Plants are not my thing guys. Don’t get me wrong – I LOVE them, they just don’t love me back. If you’ve been following along, you know the only way a plant has a chance at survival in my world is if it arrives with foolproof instructions and all the fixins. This post is sponsored by My Garden Box. 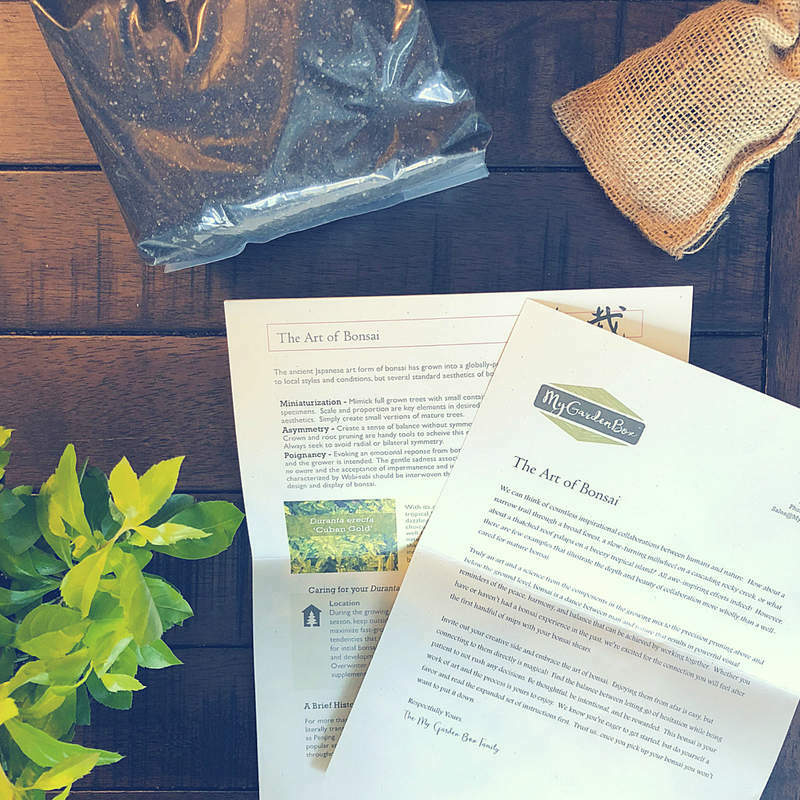 This week I received my fourth delivery of beautiful plant life from My Garden Box (one of the amazing sponsors in this week’s giveaway, PS!). Every time I receive a box from these guys, my inner botanist does a little happy dance, while the rest of my insides assume the position. Panic Mode. What will it be? Do I have to water it? Is it a venus flytrap? You might not know this about me, but I’ve always wanted to own a venus flytrap – I’d go full Kristen Bell (sloth tears, KB) if I ever got one. But, that’s not what I received in my sweet box of greenery this month. This time around I received the most fun little tree and all the ingredients to get my Bonsai on (cue, Karate Kid theme song). My Garden Box puts together a uniquely themed collection each month that offers beautiful plants, creative decor, and a touch of fun DIY. 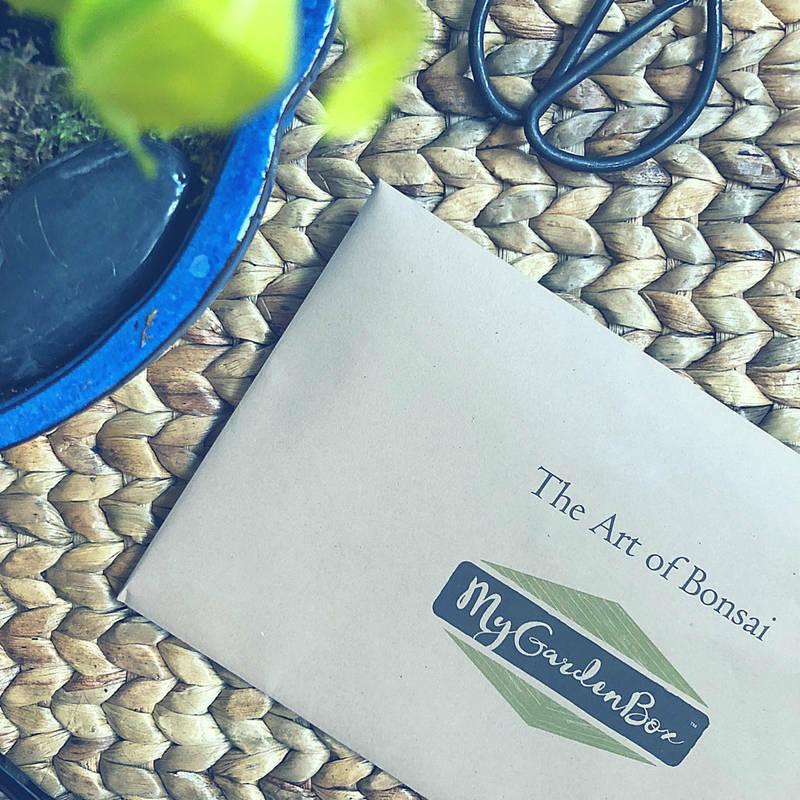 I think that’s my favorite part of this box – for people like me (whose mere presence makes a garden wilt) it takes the fear out of gardening and actually makes it fun. That said, I’m pretty sure I already screwed up my Bonsai. But more on that in a sec. Right now, feast your eyes on all the goodies My Garden Box sent. Live Plants. Do not let this box sit on your countertop or in your garage or in another space unopened because these guys send LIVE plants. Yes, live plants that can die if you let the box sit there and forget to open it (I may or may not be speaking from experience here). Including the pottery. Such an amazing bonus to My Garden Box is the really nice, quality pottery and planters you get with your delivery. Cobalt blue is my JAM so I was super stoked to see this in the box. Other treats. Literally. They always send a few pieces of candy. And, they also send some sort of gardening accessory or tool that you can use on the project and beyond. 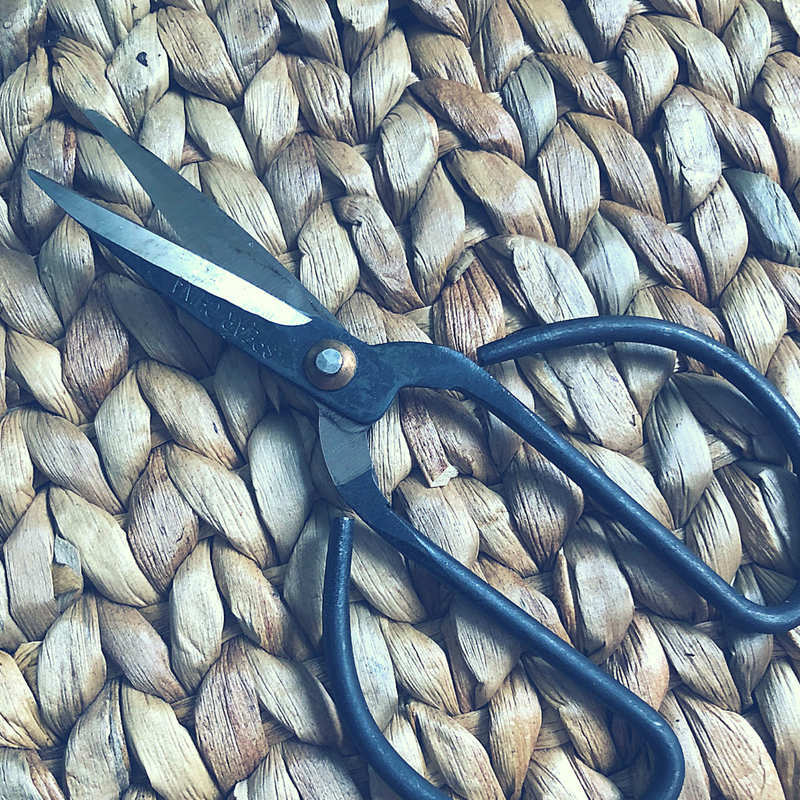 This time around, I got these really cool looking scissors (they are also very sharp, just ask my finger) and these chopsticks (I used them to pull the roots apart as instructed). Instructions. 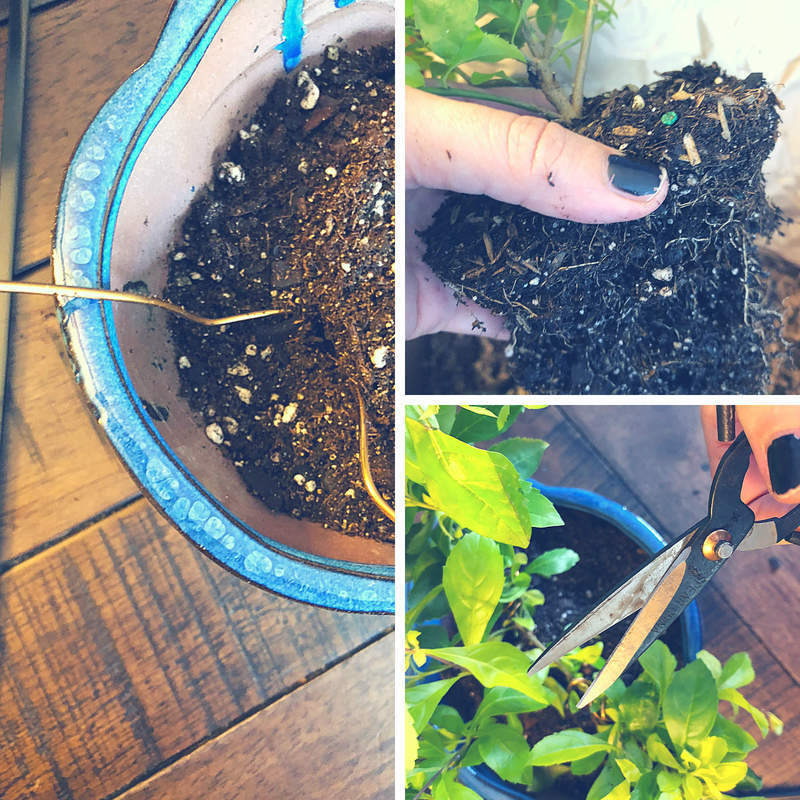 They make it so easy for ya to garden like a pro. There’s always a sweet note about the theme and project and full project instructions with pics and stuff. Remind me to follow the instructions in order next time. Oops! Subscriptions start at $21.50. 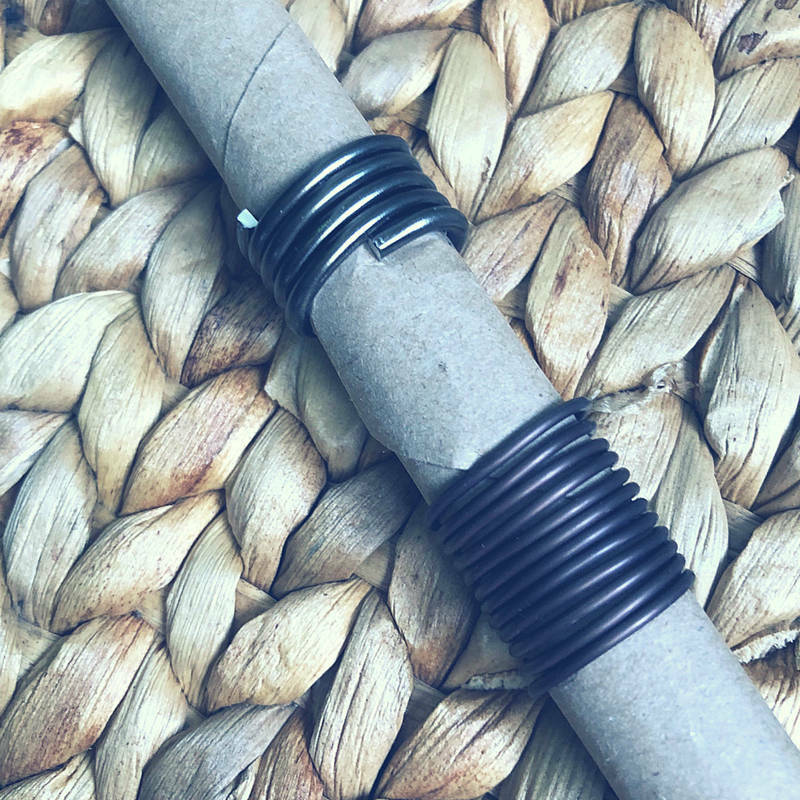 They make GREAT gifts for gardeners and non-gardeners alike. We got a 3-month subscription for my Mom last Mother’s Day and her plants are thriving. 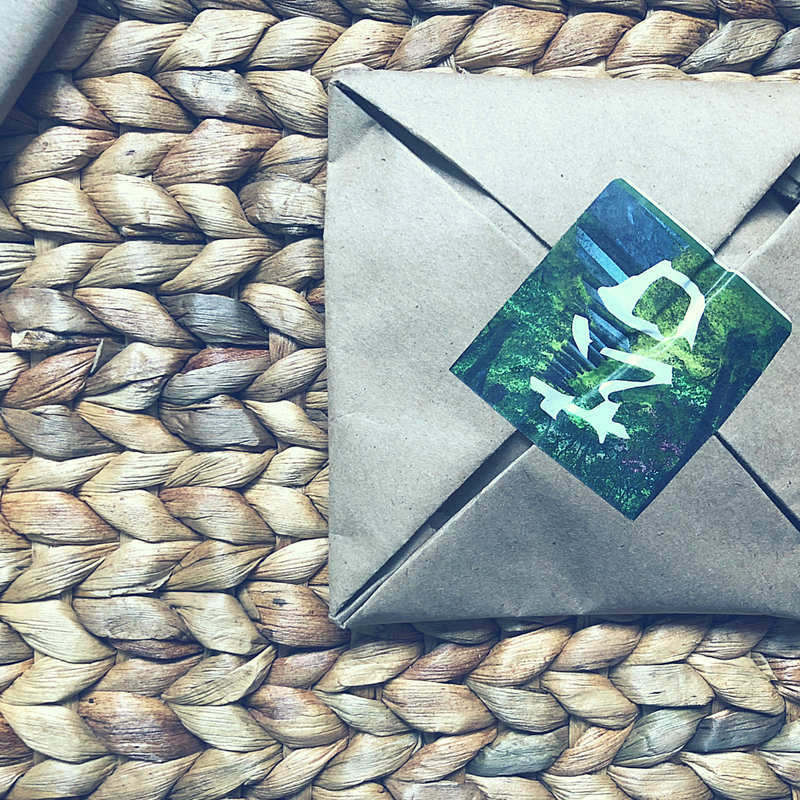 She sends me a text each month showcasing her creations and has really enjoyed the experience of a surprise delivery each month. If you want to grab one for yourself or someone you heart so much, use KIDDO20 at checkout to get 20% off new box orders! And, if you happen to recieve a Bonsai tree kit, make sure you prune your tree prior to wrapping the wires around the leaves. Um, yeah. I really should have followed the instructions. 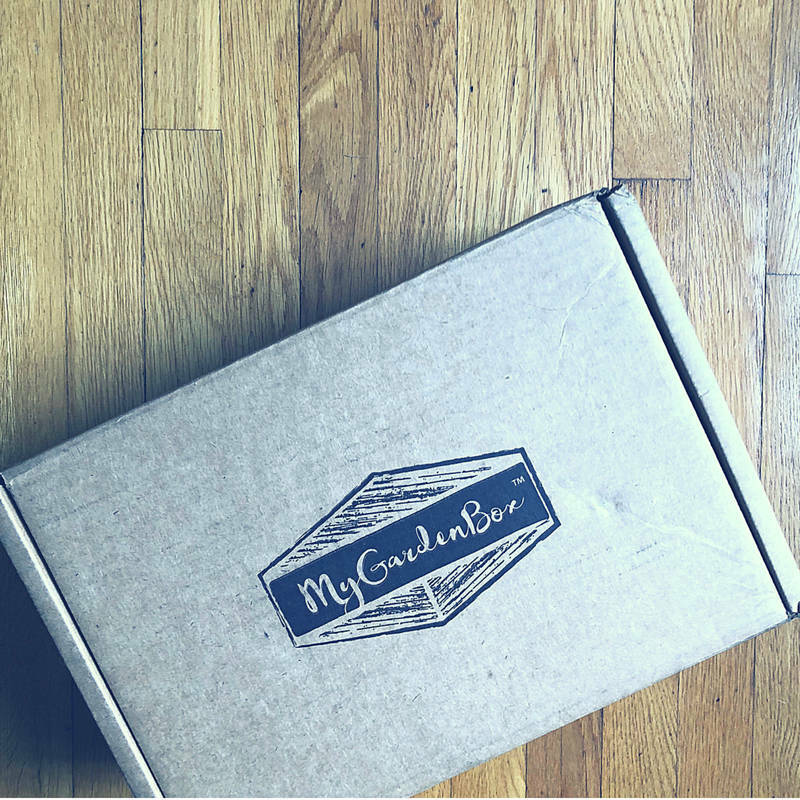 You could win your own special delivery from My Garden Box! Head on over to my Giveaway (here) and get your entries in before 9/30/18. No purchase necessary to enter! Oh and PS – These boxes are perfect for doing with your kids if you’re not trying to escape them, that is. 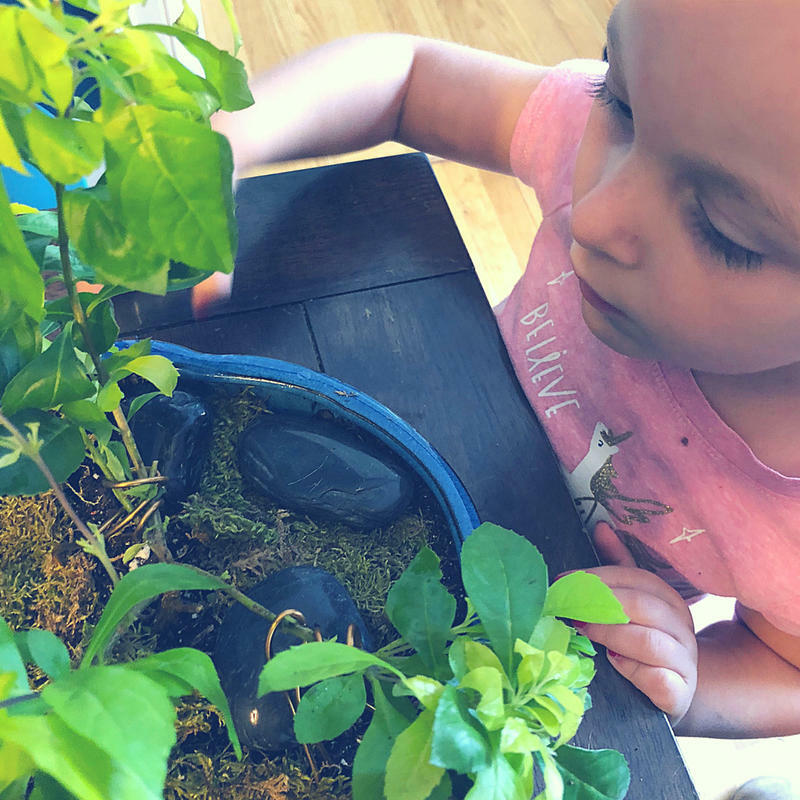 My daughter loves “decorating” once everything is planted and is actually a really good helper (AKA probably a better gardener than I). Let me know if you hook yourself up with something green and I’ll let you know if I ever get that venus flytrap 🙂 Huge thanks to My Garden Box for another amazing delivery of green stuff. CHECK OUT MY LAST DELIVERY – SUCCULENTS! NO PURCHASE NECESSARY TO ENTER GIVEAWAY. Ends at 11:59pm on 9/30/18. Open to legal residents of the 50 US, 18 years of age or older. Subject to official rules available in the rafflecopter entry form here. Void where prohibited. *DISCLAIMER: This post is sponsored by My Garden Box. I received compensation to create this post. It is a combination of my personal insights, opinions and thoughts on various topics and products and may also contain affiliate or referral links. 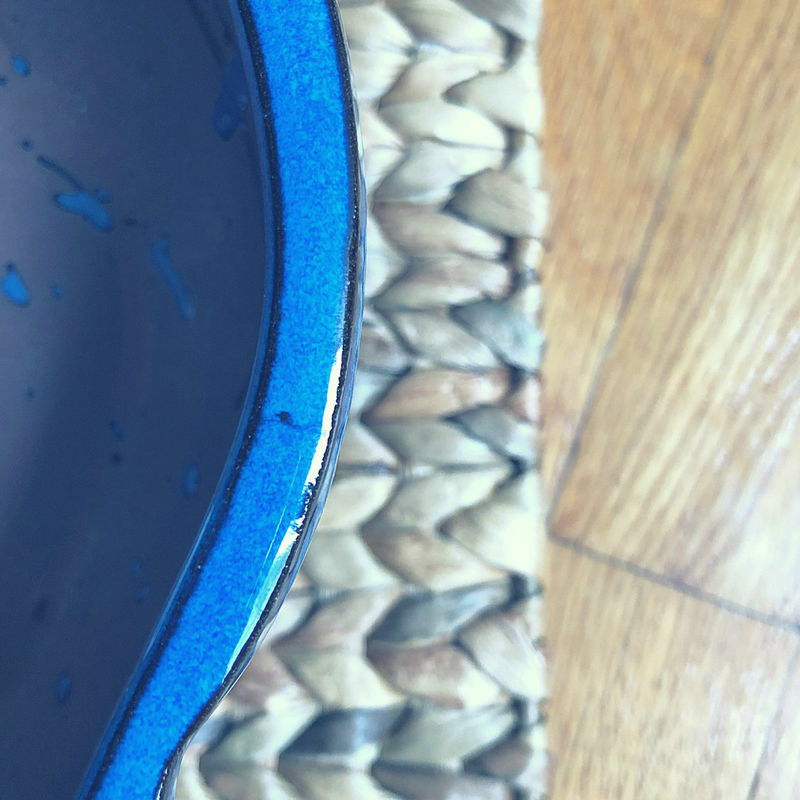 I earn a small commission if you make a purchase through my links, which helps me continue on this fabulous journey of blogging! Full disclaimers avail. here. Subscriptions actually start at like $38. That code still only brings it down to $31. Pretty pricey. 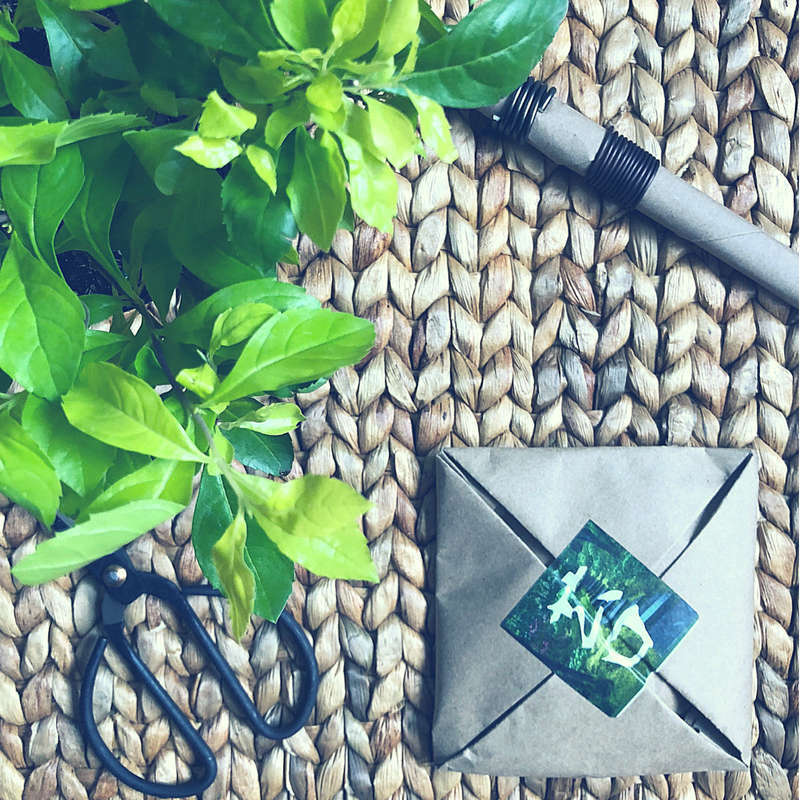 There are actually two different types of subscriptions to choose from: My Monthly Plant which starts at $21.50 and the My DIY Garden that starts at $38.50. I will be sure to update the post to reflect this!! Thanks for bringing this to my attention!